United States (Conversation) – The mass shooting on Valentine’s Day in Parkland, Florida, ripped at the hearts of Americans in a way perhaps not seen or felt since the Sandy Hook Elementary School bloodshed in Newtown, Connecticut six years earlier. The Marjory Stoneman Douglas High School students who witnessed their classmates’ deaths reacted by becoming outspoken gun control advocates. They are blaming the National Rifle Association for thwarting stronger gun laws that might have prevented this tragedy and many others. Many Americans, especially teens, agree with them. But so far, the largest and oldest U.S. gun group is doubling down on its sweeping opposition to restrictions on gun ownership. After spending decades researching and writing about how and why the NRA came to hold such sway over national gun policies, I believe it might not be as invincible at this point in its history as the interest group’s reputation suggests. The NRA’s nearly 150-year history spans three distinct eras. At first the group was mainly concerned with marksmanship. It later played a relatively constructive role regarding safety-minded gun ownership restrictions before turning into a rigid politicized force. NPR’s Ron Elving recounts the NRA’s history. The NRA was formed in 1871 by two Civil War veterans from Northern states who had witnessed the typical soldier’s inability to handle guns. The organization initially leaned on government support, including subsidies for shooting matches and surplus weaponry. These freebies, which lasted until the 1970s, gave gun enthusiasts a powerful incentive to join the NRA. The NRA played a role in fledgling political efforts to formulate state and national gun policy in the 1920s and 1930s after the Prohibition-era liquor trafficking stoked gang warfare. It backed measures like requiring a permit to carry a gun and even a gun-purchase waiting period. And the NRA helped shape the National Firearms Act of 1934, with two of its leaders testifying before Congress at length regarding this landmark legislation. They supported its main provisions, such as restricting gangster weapons by creating a national registry for machine guns and sawed-off shotguns and taxing them heavily. But they opposed handgun registration, which didn’t make it into the nation’s first significant national gun law. The NRA again opposed a national registry provision that would have applied to all firearms, in the legislative battle held in the aftermath of President John F. Kennedy’s assassination and amid rising concerns about crime. Congress ultimately stripped one from the Gun Control Act of 1968. The NRA remained primarily focused throughout this period, however, on marksmanship, hunting and other recreational activities. By the mid-1970s, a dissident group within the NRA believed that the organization was losing the national debate over guns by being too defensive and not political enough. The dispute erupted at the NRA’s 1977 annual convention, where the dissidents deposed the old guard. From this point forward, the NRA became ever more political and strident in its defense of so-called “gun rights,” which it increasingly defined as nearly absolute under the Second Amendment. One sign of how much the NRA had changed: The Second Amendment right to bear arms never came up in the 166 pages of congressional testimony regarding the 1934 gun law. Today, the organization treats those words as its mantra, constantly citing them. And until the mid-1970s, the NRA supported waiting periods for handgun purchases. Since then, however, it has opposed them. It fought vehemently against the ultimately successful enactment of a five-business-day waiting period and background checks for handgun purchases in 1993. NRA influence hit a zenith during George W. Bush’s gun-friendly presidency, which embraced the group’s positions. Among other things, his administration let the assault-weapon ban expire. Today, the NRA claims 5 million dues-paying members and the Pew Research Center’s findings suggest that about 14 million people identify with the group. By any measure it’s a small minority of the nearly 250 million U.S. voters. Like Bush, Donald Trump has a cozy relationship with the NRA, which was among his presidential bid’s most enthusiastic backers and contributed $31 million to his presidential campaign. When Trump directed the Justice Department to draft a rule banning bump stocks, and indicated his belated support for improving background checks for gun purchases after the Parkland shooting, he was sticking with NRA-approved positions. He also supports arming teachers, another NRA proposal. Only one sliver of light has emerged between the Trump administration and the NRA: his apparent willingness to consider raising the minimum age to buy assault weapons from 18 to 21. In politics, victory usually belongs to whoever shows up. And by showing up, the NRA has managed to strangle every federal effort to restrict guns since the Newtown shooting. 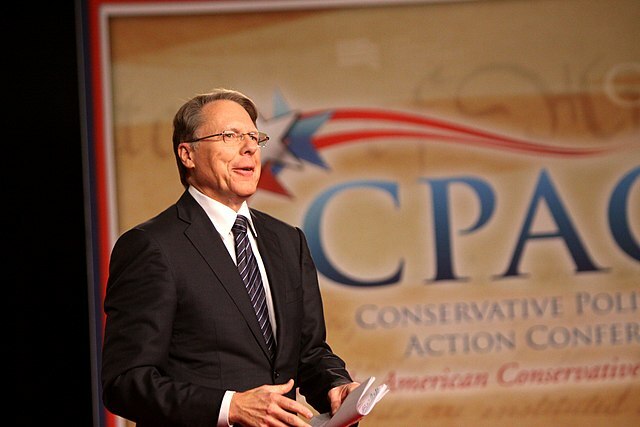 Nevertheless, the NRA does not always win. At least 25 states had enacted their own new gun regulations within five years of that tragedy. Led by the Parkland shooting’s survivors, students are now commanding public attention with their call for tougher gun laws. The key question is whether this momentum will continue through the 2018 midterm elections. If it does, the NRA might have to regroup again. Parkland, Florida, teens Emma Gonzalez, Cameron Kasky and Jaclyn Corin talked about the tragedy at their school and their subsequent gun control efforts on Ellen DeGeneres’ TV show. This report prepared by Robert Spitzer, Distinguished Service Professor and Chair of the Political Science Department, State University of New York College at Cortland for The Conversation.